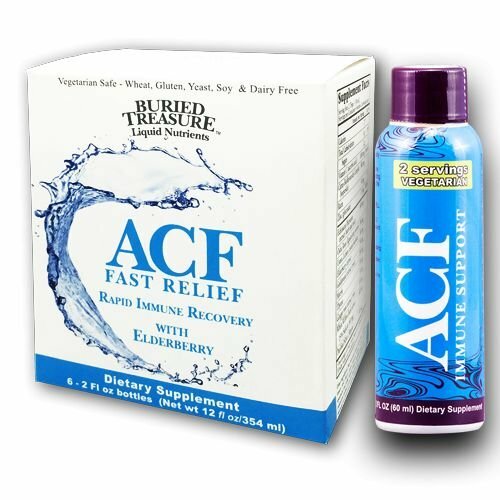 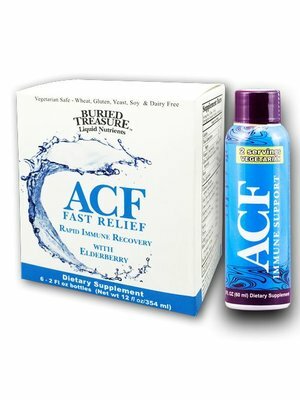 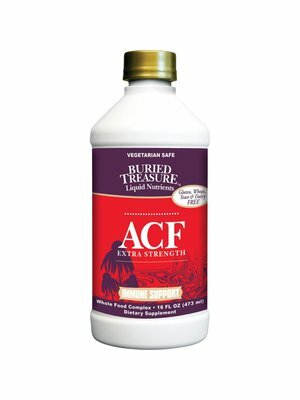 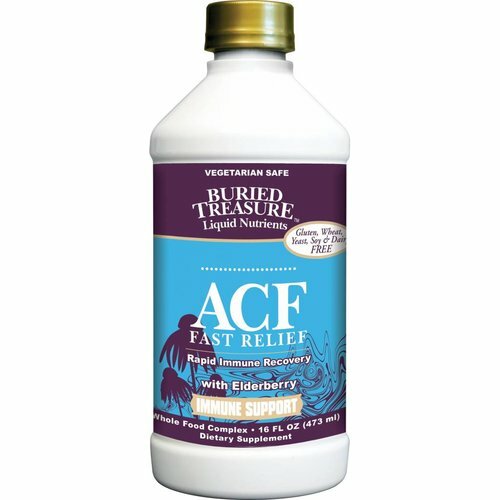 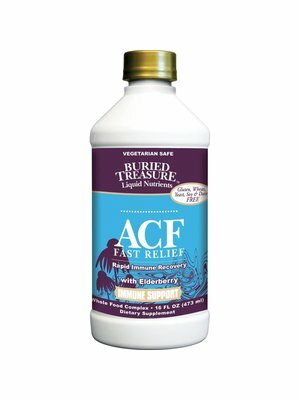 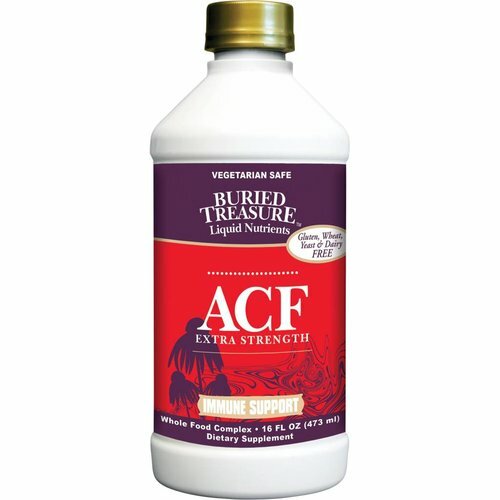 Buried Treasure ACF Extra Strength, 16oz. 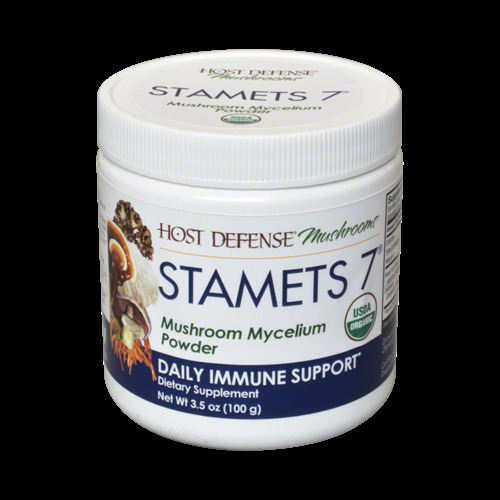 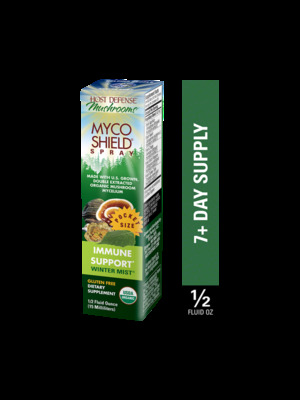 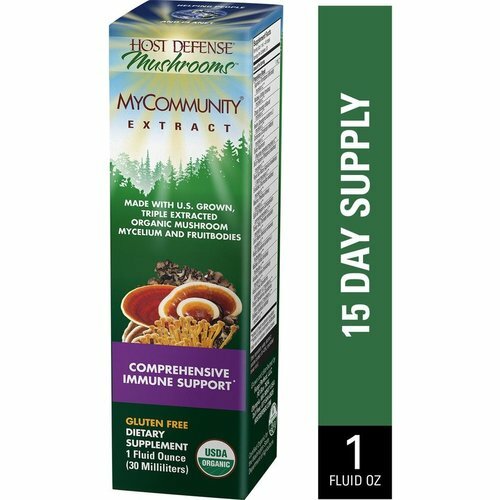 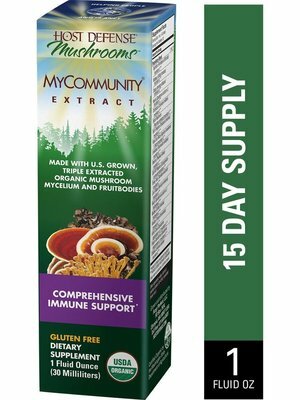 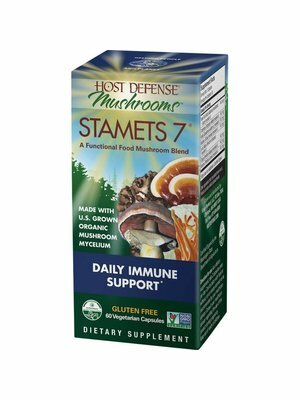 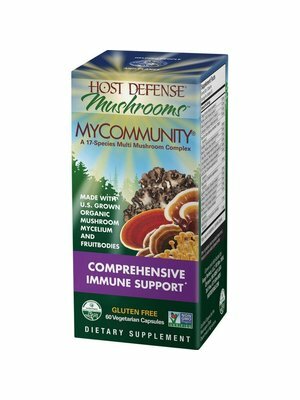 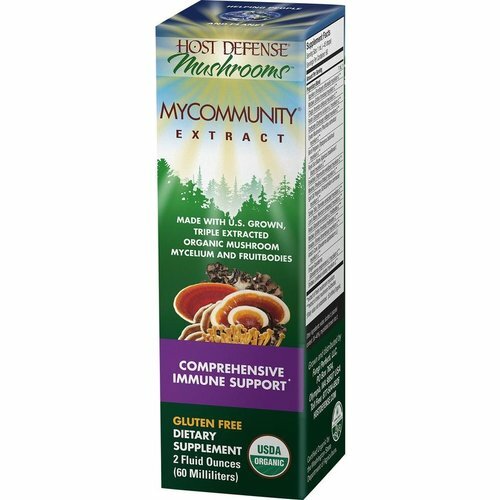 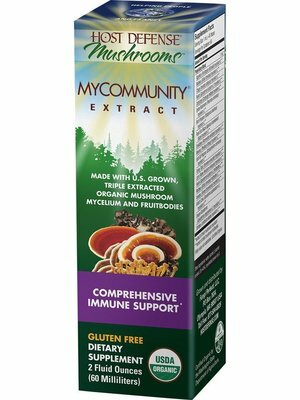 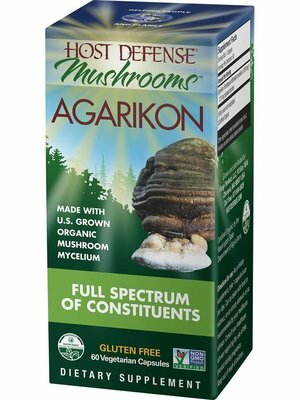 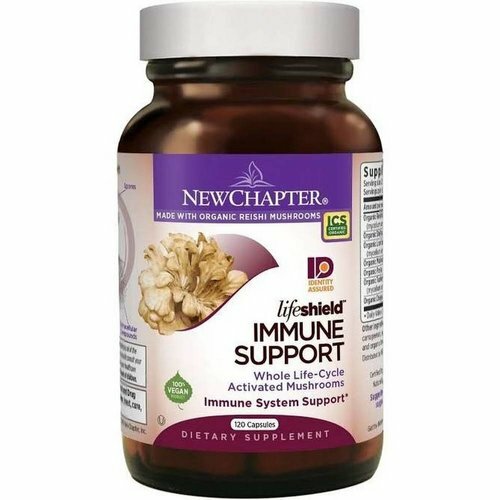 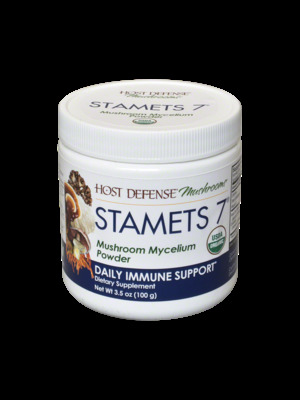 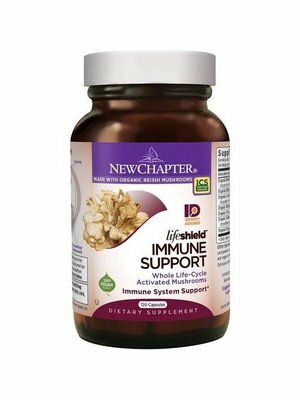 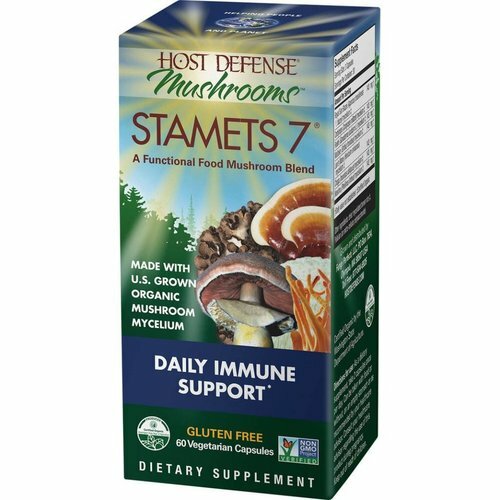 This blend of seven mushroom species (Royal Sun Blazei, Cordyceps, Reishi, Maitake, Lion’s Mane, Chaga and Mesima) is designed to support general immunity. 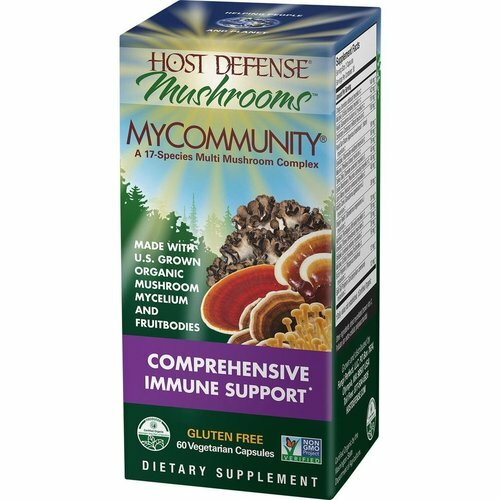 Many use it as a functional food multiple for maintaining peak performance and health. 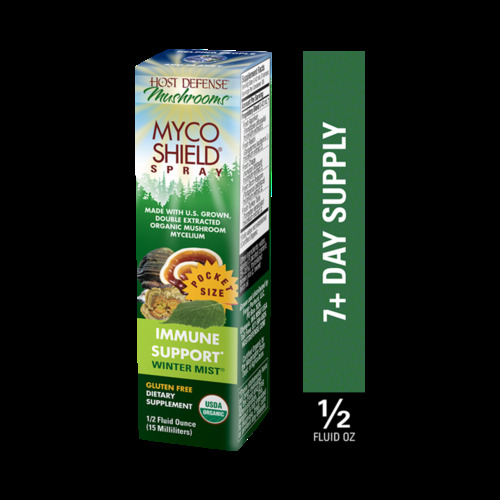 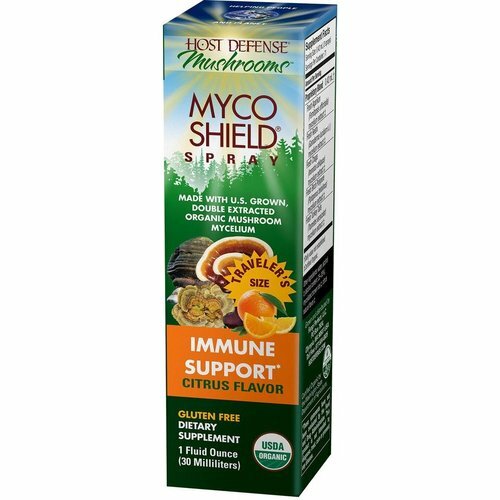 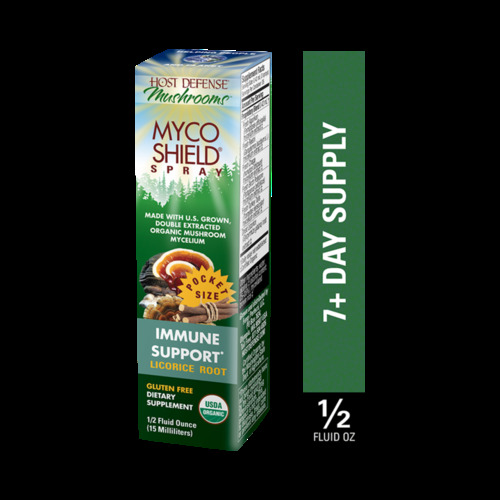 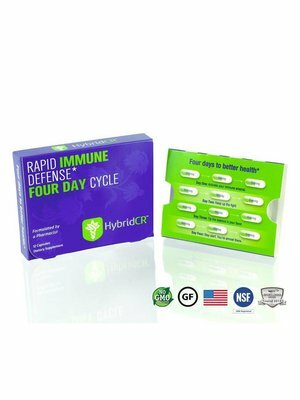 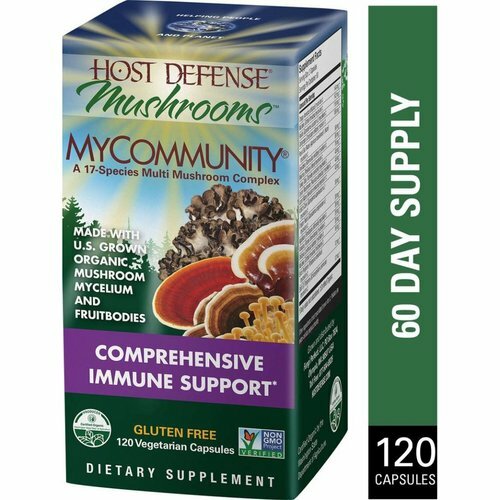 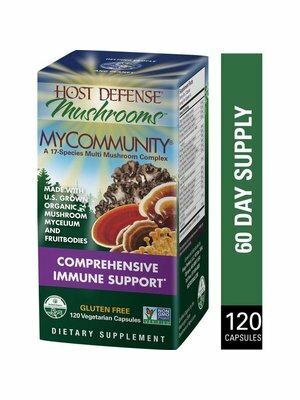 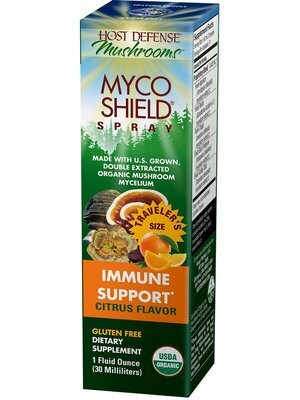 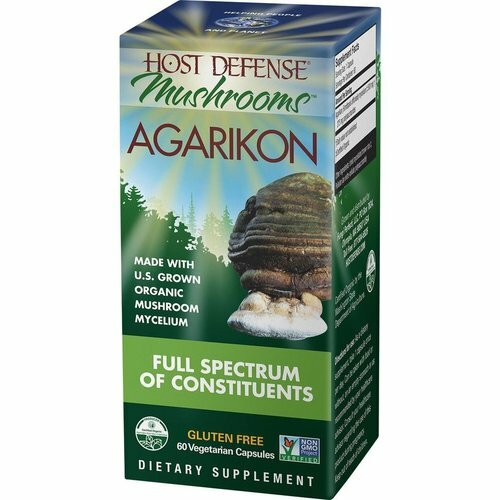 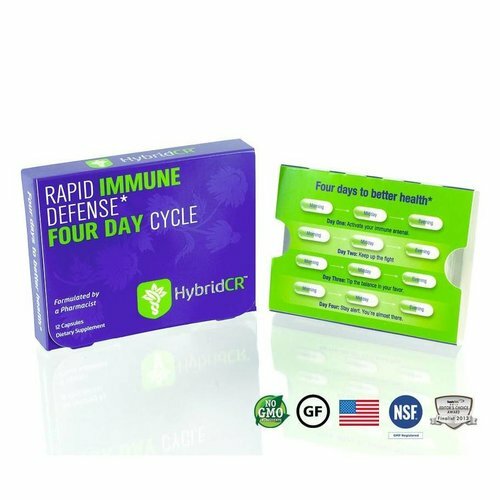 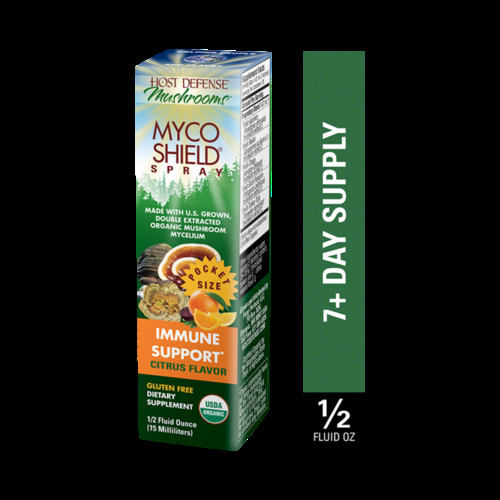 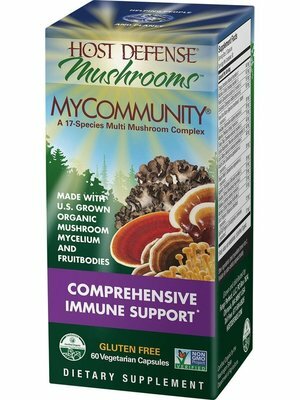 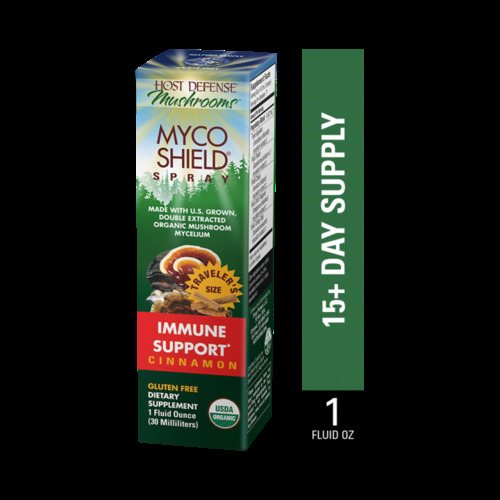 Host Defense MycoShield Immune Support, Citrus, 1oz.